Finding Wonderland: The WritingYA Weblog (archive): Toon Thursday: The Writing Guru Returns! 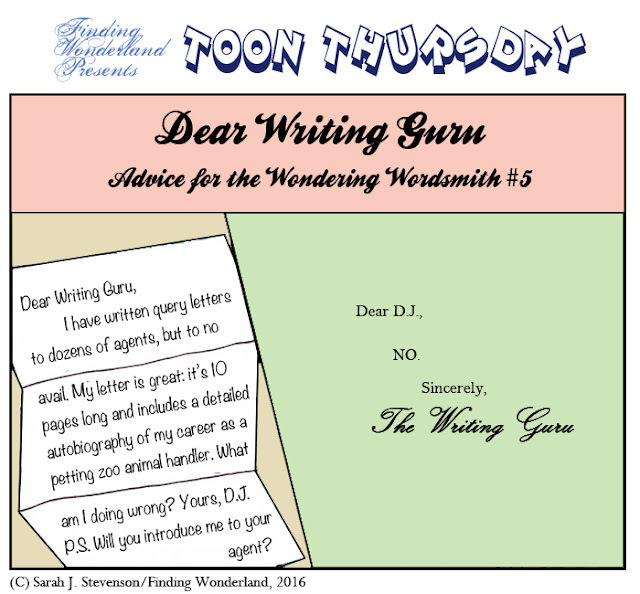 Toon Thursday: The Writing Guru Returns! I am seriously chuffed that I have managed two new cartoons in the past month. I hope this marks the beginning of a new Toon Thursday resurgence, and a bit of momentum to get my cartoon Tumblr going. This one's pretty silly. Here you go. Toon Thursday: LOOK IT'S A NEW CARTOON!